community sOLAR - wHAT IS IT? We are a group of interested citizens, committed to bringing a 1 Mega Watt Community Solar array to the Xcel billing area of Winona County. You can learn more about community solar in Minnesota on our blog, read about the grant we received, participate in our project, or leave contact information. 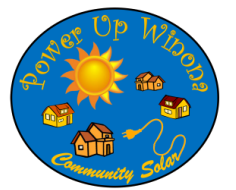 Who Wants Community SOlar in Winona?